You know, blueberries are cheaper than strawberries right now! 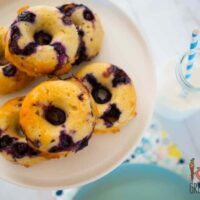 That means…I can bake with blueberries! 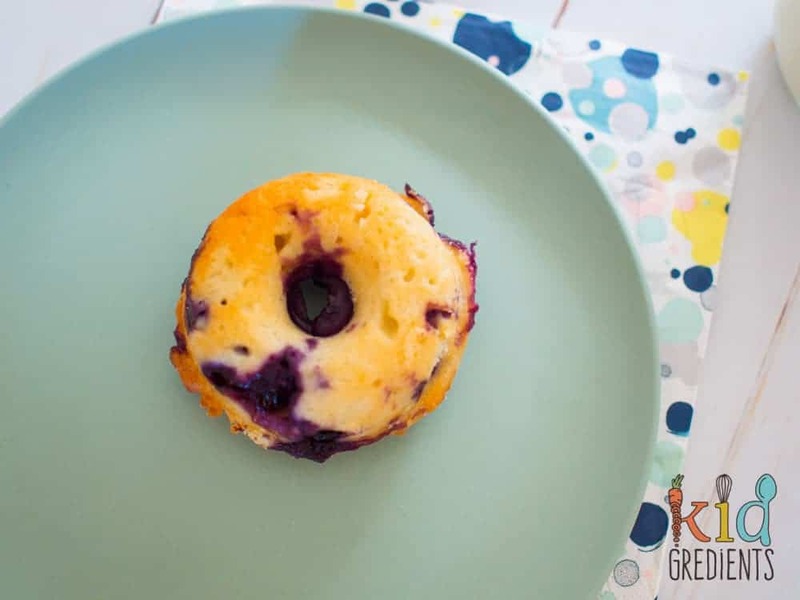 My daughter absolutely loves blueberries and so do I…and who doesn’t love donuts? 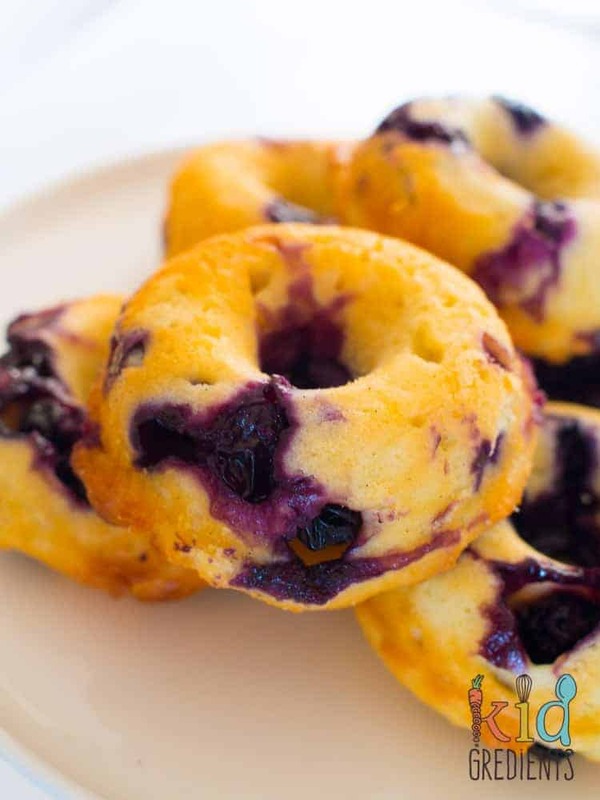 These bakedblueberry yoghurt donuts are healthier than normal donuts, baked not fried and contain no added sugar. If you are wondering why donuts are such a hit with kids….well I think it’s because you only need to use one finger to eat them! My daughter puts them on like a ring and then eats them. It’s quite fun to watch. I intentionally didn’t ice these donuts, because nobody needs icing running all over hands whilst eating! Now because these are added sugar free you can have donuts for breakfast! YEP I said donuts for breakfast!! What kid wouldn’t love that idea? When you bake donuts, you have a messy side and pretty side, because the pretty side all moulds to the tin, whereas the other is a bit rough and ready, so don’t worry if they come out of the pan a bit lumpy. 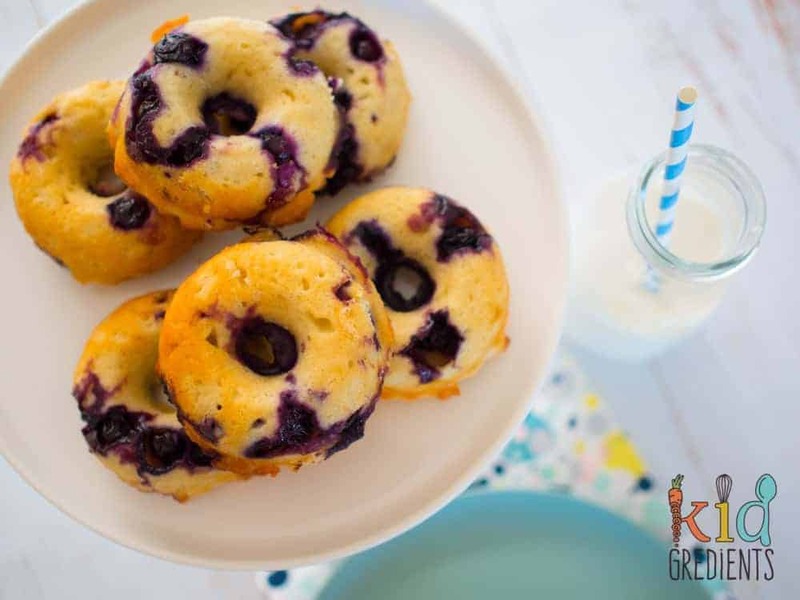 These donuts also freeze really well and are awesome in the lunchbox! 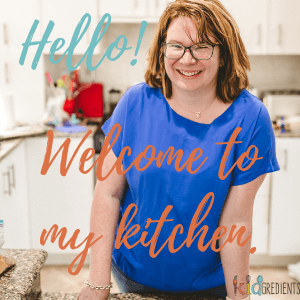 I’ve already had new requests for them as I sent a few into my daughter’s new teacher…which means a few disappeared more quickly than anticipated. If you want to, you can easily make a double batch of these, but I only have a donut mould that makes 6! So double it if you have a 12! But don’t leave this dough sitting around waiting on the bench while you make one set in a six mould, as it won’t work out as well. Apple cinnamon baked donuts- no added sugar! 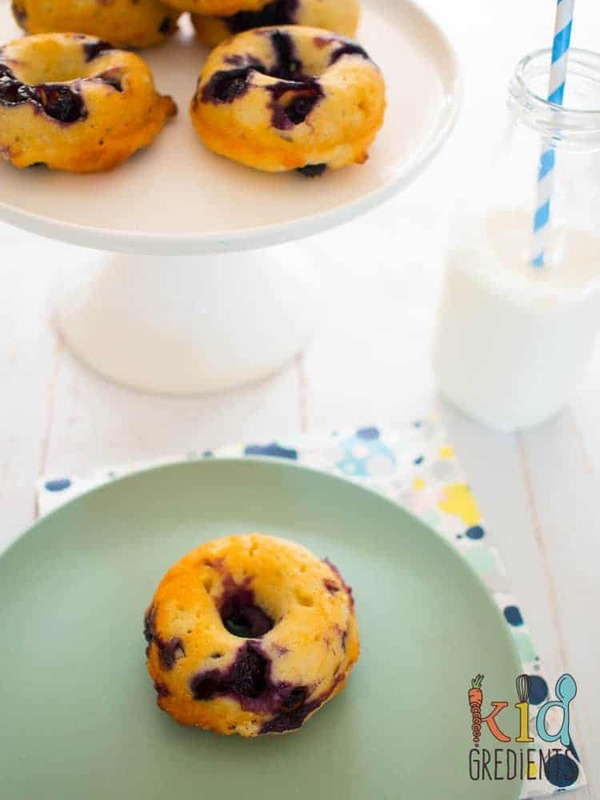 Baked blueberry yoghurt donuts- no added sugar! Combine the flour and baking powders together in a bowl and whisk to combine. Combine the oil, yoghurt, vanilla paste and egg in a jug and pour over the dry ingredients. Combine quickly with a spatula, it doesn't have to be perfect! Spoon into the donut mould. Tried these today, rookie error – the coconut oil had melted in room temp but wasn’t hot. Adding it to the cold yoghurt meant it solidified again and was lumpy, the mixture ended up way too dry and didn’t mix well. They taste ok (I will add a little honey or rice malt syrup next time) but make sure you either let the yoghurt get to room temp or heat the oil (but then watch it with the egg so it doesn’t cook it…). Might try with olive oil too. Oh no! That can happen with coconut oil. Same thing happened to me today. Oil solidified. Good idea to have everything room temp. Yes it is, also long as the oil is hot from melting it should be ok. I tried these as mini muffins today. They needed a bit longer in the oven and the batter is a bit thicker than a usual muffin recipe but tasted nice. I like the tang that the yoghurt gives to the flavour. Toddler is currently having his second mini muffin. Is this in a regular or mini sized donut mold? I used a regular size! Hey! Can’t wait to try this recipe.. can you sub the vanilla paste for extract?